Self storage: why do we need it? As demand for self storage has grown rapidly we look at why it's so popular and things to consider when looking to store your belongings. The self storage industry didn’t exist a mere thirty years ago, but now creates an annual revenue of almost £500 million - no small sum. So why has it become so commonplace? The industry has changed dramatically in the last 15 years. 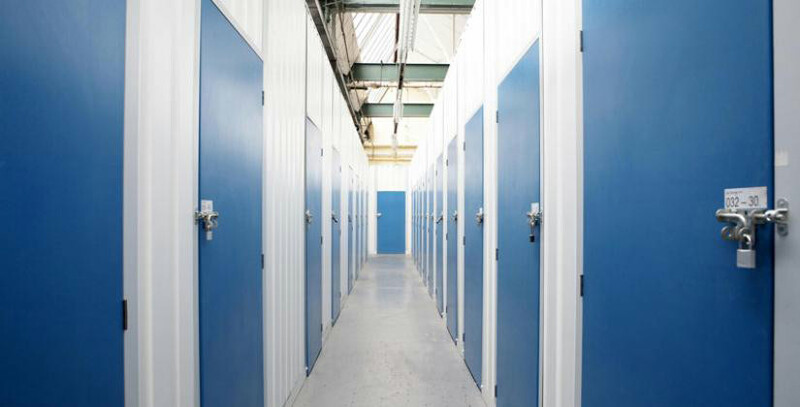 In 2002 the UK had 5 million square feet of self storage capacity and this had increased to 30 million by 2013. Interestingly, only 3% of adults in the UK had used self storage in the last 12 months (6% in London), although the figure for adults who had ever used self storage is likely to be much higher. Have become more transient. It’s now common for us to move several times in our lifetime – and we may move further away – including overseas. In some cases it may not be practical to take all our belongings, particularly if it's not a permanent move. Children are living at home for longer before moving out, which means they have more baggage to take with them when they leave, and if parents downsize they may not have room for their own belongings, let alone their childrens'. Plus, thanks to the multitude of TV programmes and online advice, we know that a presentable, tidy home is more attractive to buyers, so temporary storage is often a quick way to de-clutter if we're trying to sell our home. As a society have become more materialistic. 50 years ago, people were a lot more frugal, often because items were proportionately more expensive than they are now. Today, consumers are bombarded with adverts in every medium, enticing us to buy at bargain prices or to keep up with the latest fashion or gadget on the market. This means that we have more possessions, but our homes haven’t necessarily become larger to accommodate them. Disposable goods such as flat pack furniture are also more common than thirty years ago. Where once faulty electrical items would have been repaired, now it’s often cheaper to just buy a new one. More of us also have hobbies that need large equipment, such as canoeing or skiing. If you don’t need the equipment every week, it sometimes makes sense to store it elsewhere rather than clutter up your home. Have more online and microbusinesses. Many of these businesses don’t need a shop front but simply somewhere to keep their goods until they’re sold or to archive documents. Self-storage is also flexible option if you're expanding your business, allowing you to hire more or less space depending on demand or if you simply need space to store your tools. The BBC ran a story at the end of last year about businesses being run from storage units, highlighting the fact that they’re great for seasonal businesses, which won’t need the same amount of space throughout the year. Are hoarders. While previous generations may have accumulated belongings too, as we now have more possessions, these take up more space. There are many reasons we may not want to part with items – they may have sentimental value or have been gifts or simply because we think we'll use the item or fit into a piece of clothing in the future. For those who don't have lofts, garages or other space to stow these items, self-storage is a convenient way to keep hold of your belongings while not cluttering up your home. Caroline Taylor who manages our self storage units in Glasgow has some other tips to help you when choosing where to choose for your belongings. Think about the facilities you need and what the provider offers. Are you looking for 24 hour access or very short term unit hire? Are there any hidden charges or conversely discounts that you could take advantage of? The location – do you need somewhere within easy reach of your home or work? This will depend on what you’re using it for and how often you need to visit and move / store more items. If you're planning on storing personal property, make sure you really need to keep them. Perhaps a trip to the charity shop or recycling centre may be more appropriate. Or you may be able to sell your items – there are plenty of online sites set up for this very purpose (eBay, Gumtree, Preloved or Freecycle to name just a few). ​Don’t forget that the way you store your items can affect the size unit you need. Take a look at our tips to help you use your storage unit effectively. In addition to our Glasgow self storage units, we offer dedicated facilities in Birmingham, Bradford and London. Plus we offer larger storage units at the majority of our sites nationwide.